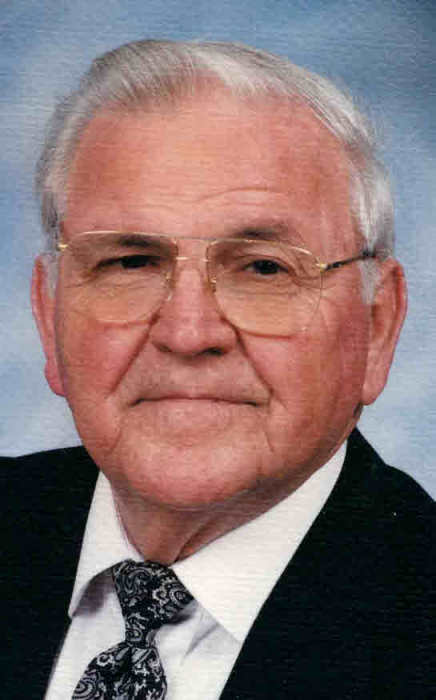 Jerry Blith Hart, age 85, born in Range, AL and a resident of Crossroads died Friday, April 5, 2019 at South Baldwin Regional Medical Center. He was retired Director of Auxiliary Services at Faulkner Sate Community College. He was a longtime member of the First Baptist Church before moving to Durant Chapel Baptist Church. He is survived by his wife of 65 years, Gloria Anne Durant Hart of Crossroads. He was preceded in death by his siblings, Annie Laura Carter, Betty Price, William “Bill” Hart and Thomas Hart. Funeral services will be held Monday, April 8, 2019 at 10:00 a.m. at Durant Chapel Baptist Church with Dr. Henry Cox officiating. Burial will follow at Durant Chapel Cemetery. The family will receive friends Sunday, April 7, 2019 from 3:00 p.m. until 5:00 p.m. at Norris Funeral Home. In lieu of flowers the family requests memorial contributions be made to the Durant Chapel Baptist Church, 9551 Highway 138, Bay Minette, AL 36507.